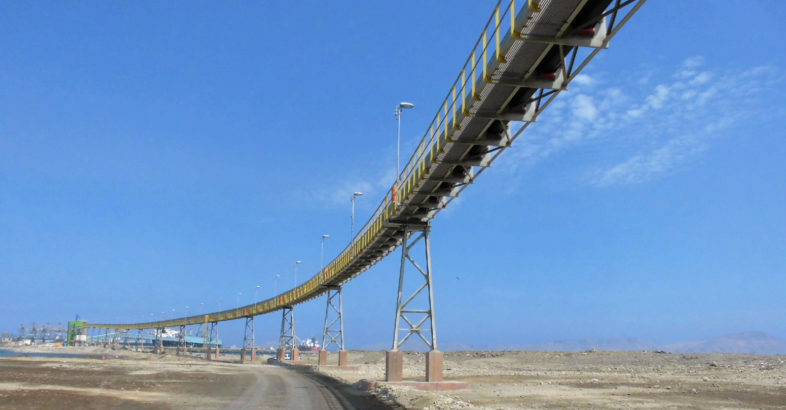 Transportadora Callao S.A., the logistics operator of a special cargo terminal in the port of Callao, Peru, relies on a BEUMER Group Pipe Conveyor for the transportation of zinc, copper and lead concentrates of different mining companies from the warehouse to the terminal. With its ability to navigate curves in three dimensions, the conveyor can be optimally adapted to its routing course of approx. 3000 metres. What is even more important: the conveying system prevents the concentrates from coming in contact with the environment and ensures dust-free transport to the ship’s holds. BEUMER Group was responsible for engineering and supply, including the steel structure, supervision of the installation and putting the Pipe Conveyor into operation.